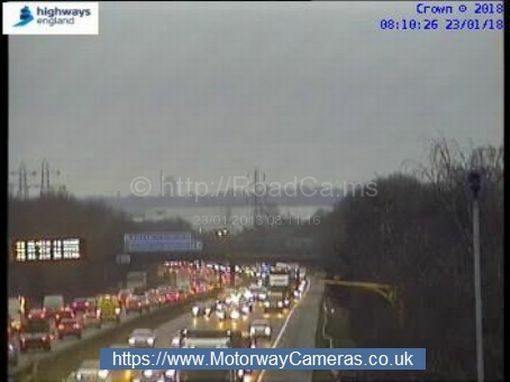 A broken down vehicle is causing big problems on the M6. Although traffic is extremely heavy in both directions, there are more problems northbound. Cameras show that the breakdown has been moved to the hard shoulder, just before the entry slip road joins the main carriageway. This is the current view of J3, and traffic is very busy – although moving – in both directions. Lane one (of three) was closed, but it was re-opened around 8:05.